Finally, after wading through a prelude disguised as an event (known as Trinity War), we get the main course. 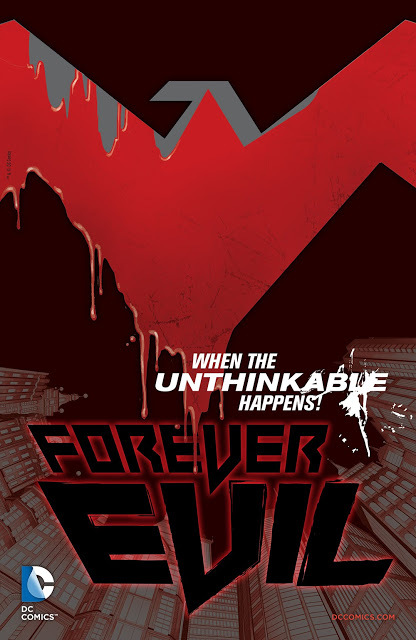 Forever Evil promises big – the main heroes of the DC universe are missing, presumed dead, and the newly emerged Crime Syndicate have taken their place, turning Earth into a haven for villains. But (as the marketing material is keen to remind us) evil is relative, setting the stage for something truly special – villain on villain action. And I could not be more happier. The series is told from Lex Luthor’s perspective, and while he may be the protagonist, he is definitely far from sympathetic. Geoff Johns toes the line here – making Luthor endearing without turning him into a hero is not a simple task but, again, speaking relatively, he may as well be a saint in this event, and Johns handles Luthor’s new position admirably. 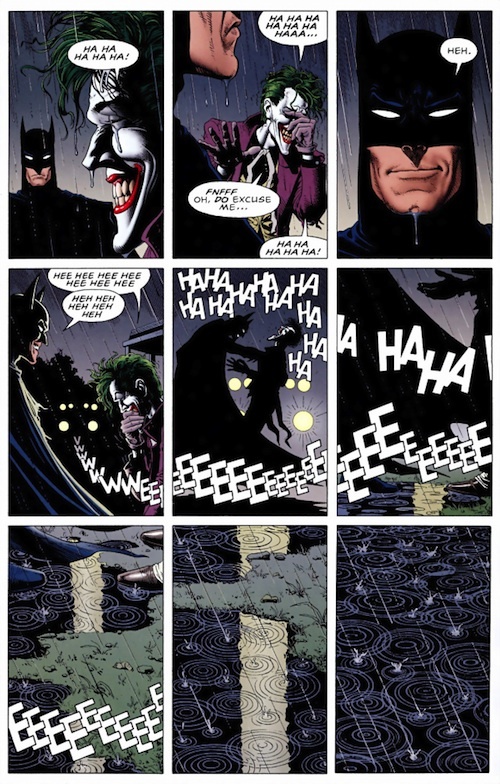 The many other villains of the DCU make appearances throughout the issue, and while the Bat-family gets the most time to shine, we still manage to get time with others, foreshadowing character allegiances. Included is a twist you may recall was used in Marvel’s own event Civil War, but if done right can really mix things up for the DC universe hero community. There’s something to be said about some good old fashioned villains being evil. Johns, at least initially, really nails the whole vibe of the Crime Syndicate – these guys are pure, kryptonite snorting evil. This is the rare case where over the top is the only thing that would work in this case, and based on the first issue alone, these guys ratchet it up to eleven. That being said, they seem to be pushed to the side this issue, not giving us a whole lot of time with this group, leaving their reasoning behind, and not addressing some of the major cliff-hangers from Trinity War that possibly should be answered, but these gripes are minor if this characterisation continues this way. Following on from this, Finch’s design of the characters is truly memorable. Each of the Syndicate members has a Justice League parallel, giving the team a sense of familiarity, while deviating from the source enough to be suitably villainous. The standout here is Ultraman, Superman’s parallel, who Finch draws subtly enough that at first glace he looks like the Man of Steel, but upon closer inspection has just enough wrong with him to know somethings up. 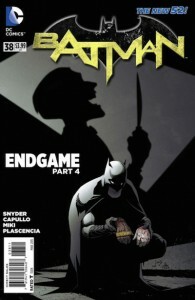 Outside of the characters, this issue is filled with Finch’s usual rough art style, and it completely works. A world steeped in evil lends itself well to his art style, and he imbues an impressive amount of detail to each and every panel. This is Finch drawing at the top of his game. 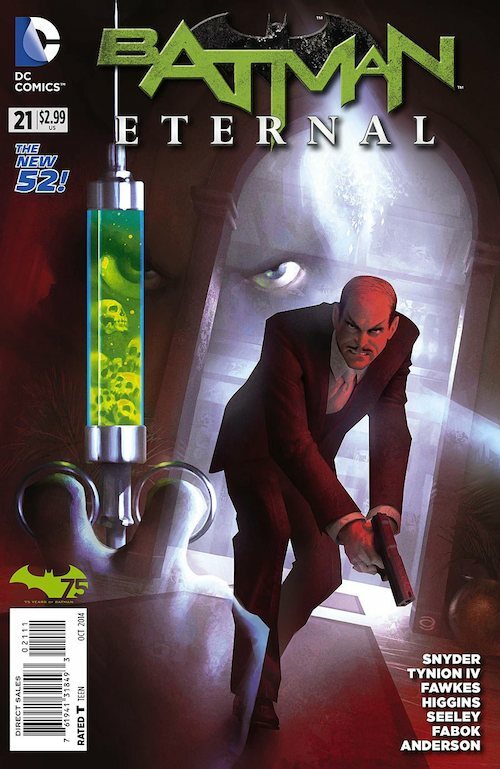 Forever Evil #1 sets up something quite delicious, and while it remains to be seen whether this issue is an indication of where this series will go, right now it looks as if its heading in the right direction. 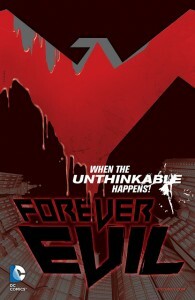 We’ve been burned with events already this year, but Forever Evil may just restore these stories to their former glory. If you’re a DC Comics fan, you’ll know that the past couple of years for the company have been big ones, with the New 52 launch and evolution the most notable event. 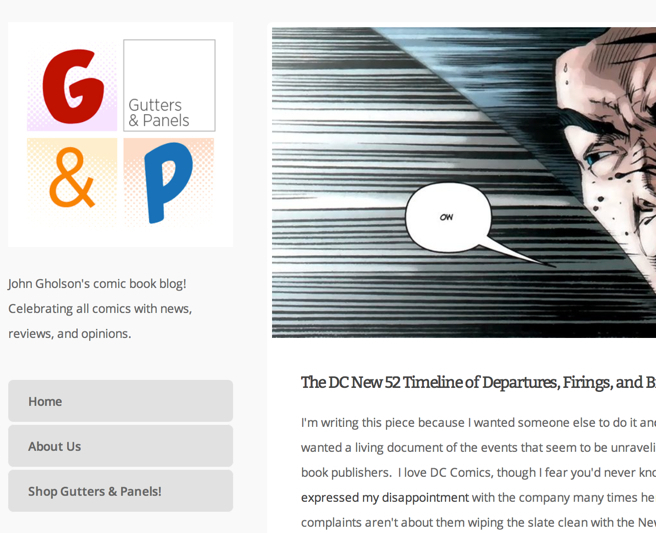 Over at Gutters and Panels, they have a great chronology of the comings and goings at DC and it makes for fascinating reading. Go have a look for yourself here. Let me begin by saying that as an event, Trinity War has ultimately failed. Stories should have a definitive beginning, middle, and end. A universe-wide event like this one, especially with the way it has been marketed, should be a stand-alone story. However, Trinity War as part of a much larger story, lacks any semblance of an ending, as it leads directly into Forever Evil #1, failing the basic idea of a story to begin with. What is left is a fun set up to something both exciting and interesting, but ultimately doesn’t deliver on what an event should be. So, don’t expect a conclusion coming from Justice League #23. While it answers the question of what Pandora’s Box is – and what the overall goal of pitting the heroes against each other was – it leaves the issue with many large cliffhangers. They include the fate of an injured hero, and Shazam’s apparent transformation last issue, feeling like it belongs in the middle of an event rather than an epic finale it was poised to be. It appears that Trinity War, and Forever Evil were always intended to work together as one series, so why not market them as such? Instead it feels the series was more interested in what was to come, rather than the story it was meant to tell. Speaking of marketing, hyping up the series as a story behind the Trinity of Sin, and how the heroes rally behind them, also proved to be the event’s downfall. With Phantom Stranger left behind much earlier in the story arc, the Question and Pandora also feel underused, getting little panel time between them. They both merely act as a guide, which could have easily been left to other characters like Madame Xanadu anyway. It seems less interested in the characters whose books feature “Trinity of Sin” in the title, than it does the actual war between the forced “trinity” of three Justice Leagues. That said, what does happen in this issue is mighty fun. More hero on hero action is always a plus in my book, and this issue delivers by the bucket load. Ivan Reis is drawing at the top of his game, with his panels packed to the brim with brilliant fight scenes, and gorgeous detail. There does feel like there is a few too many splash pages, filling up a lot of space, but thanks to the 28 page issue – and of course the artwork – it doesn’t feel too cheap. Outside of the action, Johns manages to fill it up with a few surprises too. The reveal of the traitor, which initially felt a bit hammy, eventually makes sense in context of the big reveal of the new villains at the end of the issue, which opens with a surprisingly funny panel. It’s good that the heroes battling each other wasn’t played out Civil War style, and instead plays with reader expectations. As a quick aside, It’s also nice to see that Constantine is getting more space to shine in the greater scheme of things, with a particularly amusing reason why he isn’t affected by Pandora’s box tying nicely into his character. 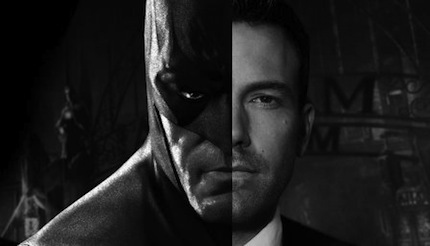 I’m liking his inclusion into these team-ups and how he reacts to working with others. Maybe the scoundrel has a heart of gold after all? While this event does fail in the execution, what it has set up has made me more excited than anything else that DC has done since the launch of the New 52. The new villains look incredible, and the Forever Evil series sounds like its going to shake things up in a big way. It’s just a shame that DC bungled the marketing of a story that would have been better suited as a prelude, rather than a main event. Another day, another large crossover. 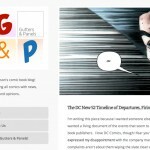 Actually, that’s a bit unfair, because DC’s latest event Trinity War, is shaping up to be something pretty darn cool. A three-way war between the three big superhero teams: Justice League, Justice League of America and Justice League Dark, with characters switching allegiances? Sign me up. The third part of this event, following from Justice League #22, then Justice League of America #6, focuses predominantly on the third team, and while it doesn’t seem clear what the overall point of pitching these teams against each other is right now, its a darn fun time. This issue picks up right where JLA#6 left off. Superman, still reeling from his actions in the first part of the event, remains in captivity. 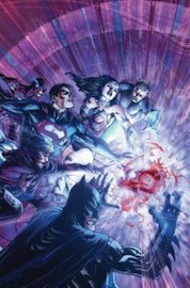 Each character is finding themselves unsure of who to trust, and when Wonder Woman seeks the help from the begrudgingly named Justice League Dark, they find themselves part of a war they didn’t entirely want, as they seek (or prevent the others from finding) Pandora, and ultimately Pandora’s Box. Why this is something important, I’m not entirely sure. It seems that each of the characters are running around trying to figure out what is the problem with the box, leaving it frustratingly unclear why we should care that the heroes don’t have it. There is some vague “it’ll spell the end of the world” spiels, but it never culminates into anything. While this isn’t necessarily the fault of this issue’s writer Jeff Lemire (the other issues were penned by Geoff Johns), it does leave it a bit open. But you know what? Currently I’m okay with that. Superhero-on-superhero-on-superhero action is what we want, and while this issue seems like it’s trying to set something bigger up, even having one of the characters saying himself they are moving around like pieces on a chessboard. 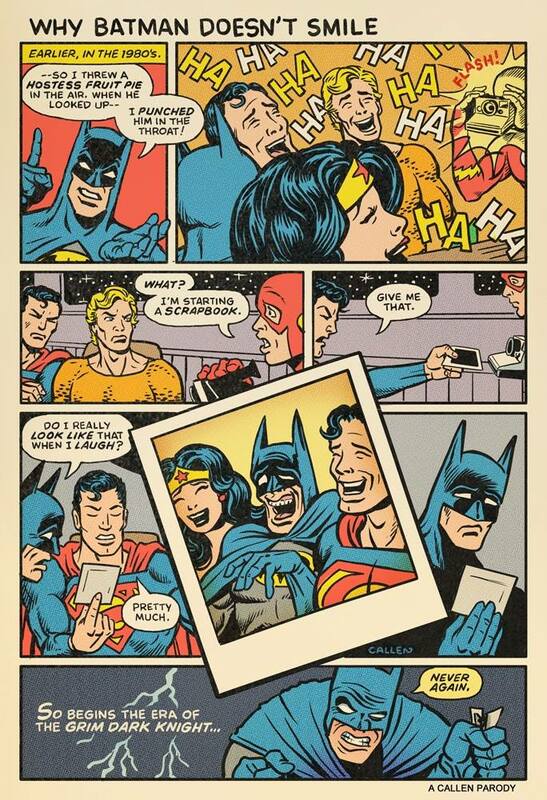 There is one cool face-off between Wonder Woman and Batman’s teams – it doesn’t end up being much, but they keep teasing a big showdown, and I really can’t wait. Mikel Janin is arguably the best artist of the bunch in this arc. While Ivan Reis and Doug Mahnke are awesome in their own right, Janin’s clean pencils, and his lack of clutter suit the issue well. Amazingly, no panel feels too packed, despite having what appears to be the entire current roster of New52 heroes throughout the issue. Janin is an artist I love to see, and is one of the main reasons I return to this series month after month. As a quick aside, since I haven’t had a chance to do so, I’d love to commend DC in their approach to their universe lately. 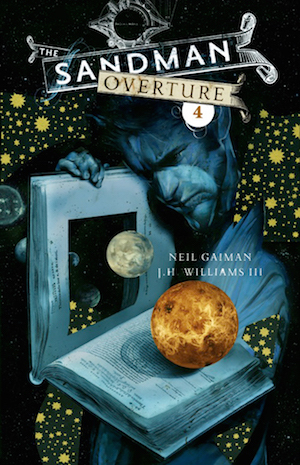 It seems they are doing a massive push in the magic side of the universe, and it has produced some of the most interesting titles out there. 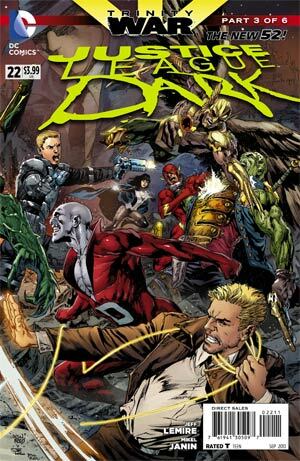 I’m really happy that a title like Justice League Dark exists, and is such a large part of the greater DC universe. All in all, Justice League Dark #22 does appear to be mostly filler, putting everyone in place for the next three issues, but the mere hint of something greater is tantalising. I just hope that whatever Pandora’s Box turns out to be, as well as the lead up to the Forever Evil event later in the year, makes this all worth it.